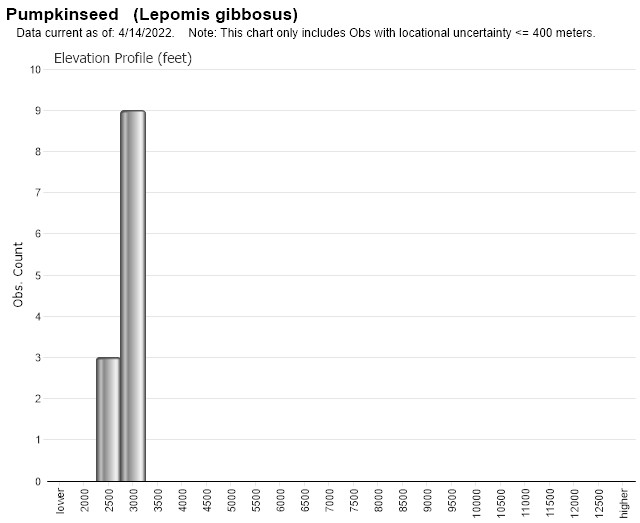 The pumpkinseed is Montana's most widespread small sunfish, but like the others it has been introduced. 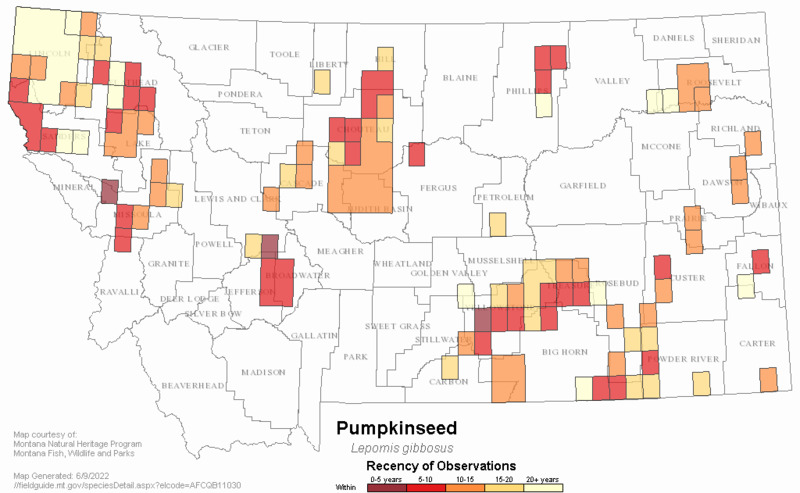 Pumpkinseeds were first found here in 1910 in sloughs near Kalispell and now are found nearly statewide except for southwestern Montana. Pumpkinseeds are beautiful little fish, and in their preferred habitat of clear ponds with abundant aquatic vegetation they can grow up to 1 pound and provide some fun fishing. However, most populations are stunted. The pumpkinseed is another example of a fish which has become widespread through illegal introduction. Gill rakers short and stubby. Ponds, small lakes, some large lakes, and slow streams. Prefers quite, clear water with an abundance of aquatic vegetation submerged brush. Mostly snails and aquatic insects; but almost any organism of suitable size is eaten on occasion. May cross with bluegill and green sunfish but no hybrids reported in Montana. Sexually mature in 2-3 years. Spawns late spring-early summer. 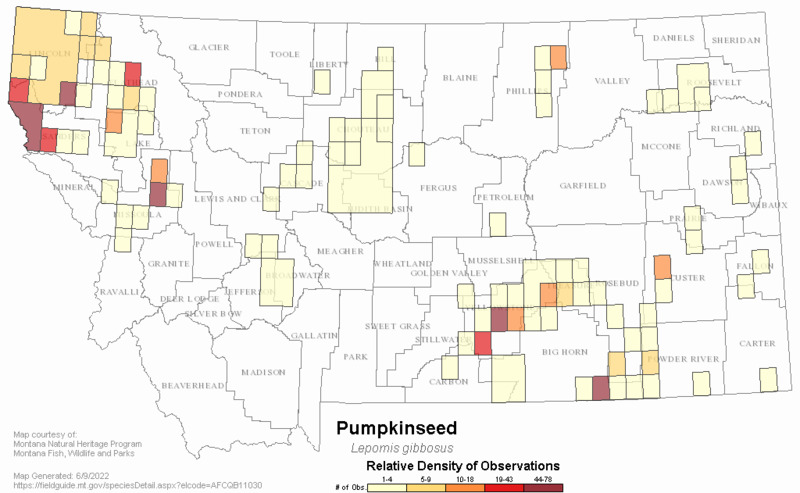 Web Search Engines for Articles on "Pumpkinseed"